to bring their story to people who care. 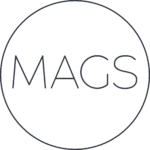 Mags Creative is a dynamic, forward-thinking marketing agency working with brands in the lifestyle and wellness spaces. Mags Creative isn’t your average boutique PR agency or a full-service marketing consultancy. We create tailored, creative and thoughtful marketing campaigns to deliver real impact. We work with brands we believe in to bring more good to the world. Evangelists for creativity, with a mindful and dynamic view on marketing and PR. We are lucky to count thinkers, doers, designers, videographers, photographers, sound engineers and creatives amongst our team. We work together in imaginative ways to bring brilliant stories to life. The business is named after Hannah and Faith’s unsurpassable grandma, Margaret June Rose Stoakes – also known to the many that loved her as Mags or Maggie. It will come as no surprise that Mags Creative is built around family. Sisters Hannah Russell and Faith Russell founded the company in 2018 after recognising the need to approach marketing differently. We build honest, human relationships with our clients, partners, team and friends. We don’t leave much of ourselves at the office door. We believe a different way of working is possible. A thoughtful, smart and mindful approach to marketing and to business. We don’t believe in silver bullets. This means producing thoughtful, creative strategies for our clients to meet their needs – not just what’s quickest or most trendy. We keep our fingers on the pulse to build communities, tell stories and create powerful social campaigns. We tell your story across the medium that makes the most sense – whether that’s photography, video or audio. Working with mainstream publications – both online and offline – as well as micro and macro influencers to secure coverage. We create memorable brand experiences from the ground up, whether that’s a large scale festival, a consumer launch or a more intimate event. 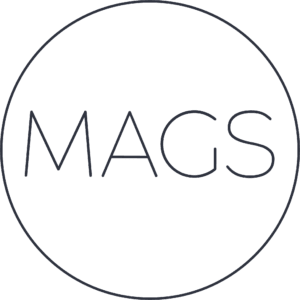 MAGS really understood our brand and audience from the get-go, meaning we could trust them to find creative solutions and deliver results without endless rounds of feedback or hand-holding. Their ability to handle quick turnarounds without skimping on attention to detail has been invaluable. It has been an absolute to joy to work with Mags and their growing team! MAGS Creative are a dream team. From raising the Become™ brand’s profile in the press to connecting us with key influencers and organising outstanding events – they deliver it all with a high level of professionalism coupled with a wonderful warmth and honesty. We can’t recommend them highly enough. What's unique about the dynamic-duo of Hannah and Faith is their ability to effectively put knowledge to work in a strategic way and ultimately execute (so not just talking but doing). We could not recommend Mags Creative more highly. They are 10 out of 10 in all areas of doing business: knowledge, strategy, execution, meeting deadlines, being detail-oriented, providing direct feedback and their values. Although we were initially reluctant to outsource our PR, we had a wonderful experience working with Faith, as she understood our brand and values and successfully got us great coverage on national publications. The work we have done together has surpassed the results we were hoping for, and what’s more Mags have made the journey so much more enjoyable by being fastidiously precise, upbeat and positive, forward thinking and utterly accommodating.